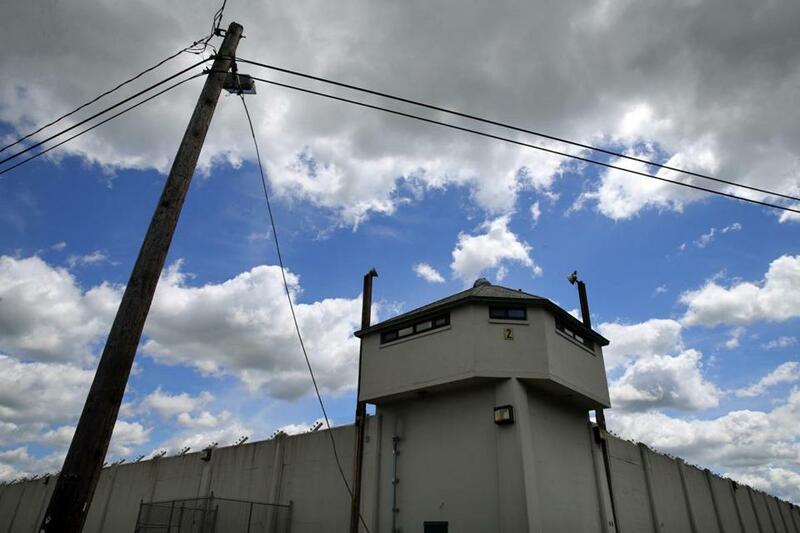 An outspoken inmate at the state’s largest prison has gone on a hunger strike after he was sent to solitary confinement for amassing large amounts of bottled water, which he intended to distribute to fellow inmates, prisoner advocates said. In response to longstanding concerns about MCI-Norfolk’s routinely tea-colored water, which inmates contend has been the source of health problems, Wayland Coleman began working with prisoner advocates to provide bottled water to the prison’s roughly 1,500 inmates. Advocates from a group called the Deeper Than Water Coalition have raised thousands of dollars for Coleman and 39 other prisoners to buy bottled water at the prison’s canteen and distribute it to their fellow inmates, members said. “The Department of Correction is punishing someone who’s trying to get access to clean water, which should be a basic human right,” said Christine Mitchell, a member of the Deeper than Water Coalition and a doctoral candidate at the Harvard School of Public Health. Prison officials declined to comment on Coleman’s case or confirm that he’s observing a hunger strike. Coleman is serving a life sentence for murder. Officials acknowledged, however, that amassing too much of any item, even bottled water, violates prison rules meant to prevent strong-arming. For that reason, prisoners aren’t allowed to buy anything from the prison canteen for other inmates, he said. Coleman apparently had 15 cases of bottled water in his cell and was on his way to pick up another six cases from the canteen when he was confronted by corrections officers. For years, the often sediment-filled water from the prison’s aging tanks and wells has stirred anger among inmates and drawn scrutiny from state regulators. Repeated water failures there have led the state Department of Environmental Protection to fine the nearly century-old prison thousands of dollars and order the Department of Correction to install an expensive new water-treatment system. That system has been delayed repeatedly but is scheduled to begin issuing clean drinking water this spring, Fallon said. The agency has spent about $5 million on the new system over the past two years. Last year, a Globe review of state records found that 43 percent of all water samples collected at MCI-Norfolk since 2011 showed elevated levels of manganese, a prime component of sediment from the wells. The naturally occurring mineral, found in many foods, can be dangerous when ingested at heightened levels for prolonged periods, potentially leading to tremors, slowed speech, and neurological disorders that resemble Parkinson’s disease. With nearly half of the prison’s inmates serving life sentences — more than any other state prison — many of them have worried about their extended exposure to the water, and some blame it for their health problems. Last February, the prison placed him in solitary confinement for a month after he mailed a critical council report about the water to the Globe, and officials later stripped him of his position on the council, according to Coleman. Prison officials would not comment on his account. Coleman said he feared drinking water from prison taps. “I ingest it, and with each swallow, I fear for my long-term health,” he wrote in his letter. Members of the Deeper Than Water Coalition said they’re concerned about Coleman, who they said was placed in solitary confinement on Wednesday. They said they have since spoken to him on the phone. Sofia Owen, a lawyer on the coalition’s steering committee, blamed the state for not providing bottled water to prisoners and questioned whether Coleman’s punishment was disproportionate. But prison officials said the coalition put Coleman in a situation where he had to violate the rules. The group should have gone through proper channels by contacting prison authorities, as other groups have done when they’ve distributed toothpaste, socks, and other necessities to prisoners, Fallon said. Yet coalition members said they have urged prison officials to provide bottled water to prisoners without success, and they felt that working directly with inmates was their only choice. David Abel can be reached at dabel@globe. com. Follow him on Twitter @davabel.